This bridal gown will take your happiness to no ends. 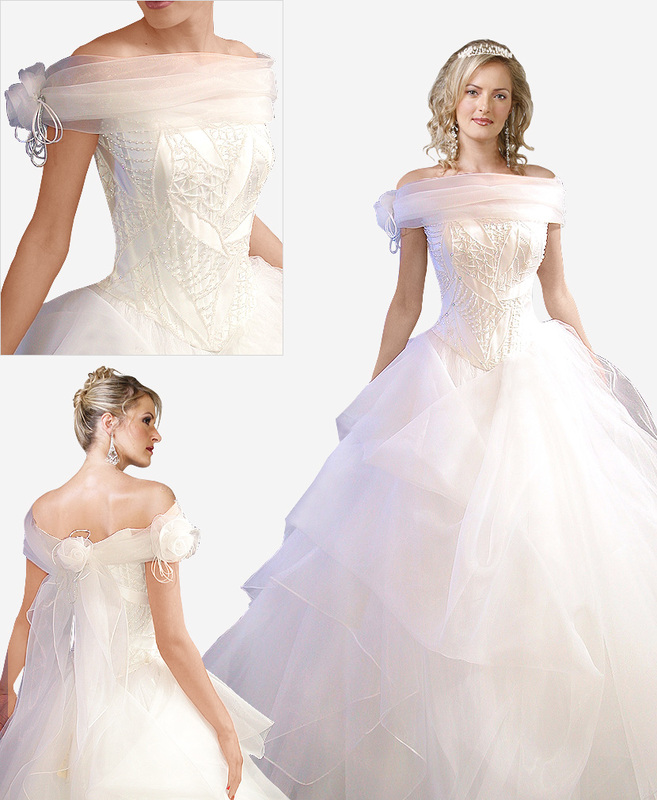 This dress looks really divine and angelic with a beaded bodice in a very unique design and an off shoulder that is made of laced fabric. The side os the shoulder has a floral embellishment. The back of the neck also has a similar floral pattern but with a bow. The skirt is really puffed up with designs and in layers.